Washington DC, April 16: A new study has claimed that college students, if subjected to even one among negative habits such as heavy drinking or substance abuse, can end up living a life of mental distress, lack of sleep, low grades and poor lifestyle choices. "We used a robust data-mining technique to identify associations between mental distress in college students with substance abuse, sleep, social behaviors, academic attitude and behaviors, and GPA (short-term and long-term as reflective of academic performance)," said Lina Begdache, an Assistant Professor at the Binghamton University, where the research was conducted. "Positive behaviors such as abstinence from substance use, studious attitudes and responsibility toward work and family are reflective of a brain chemistry profile that supports mood and maturation of the prefrontal cortex of the brain. The latter matures last and supports impulse and emotional control as well as rationalization of thoughts," she added. How to Treat Alcoholism: Researchers Identify New Gene That Could Help in Medication. In this study, which was published in Trends in Neuroscience and Education, a total of 558 students were asked to complete an anonymous survey on academic performance, daytime sleepiness, substance use, and mental distress. 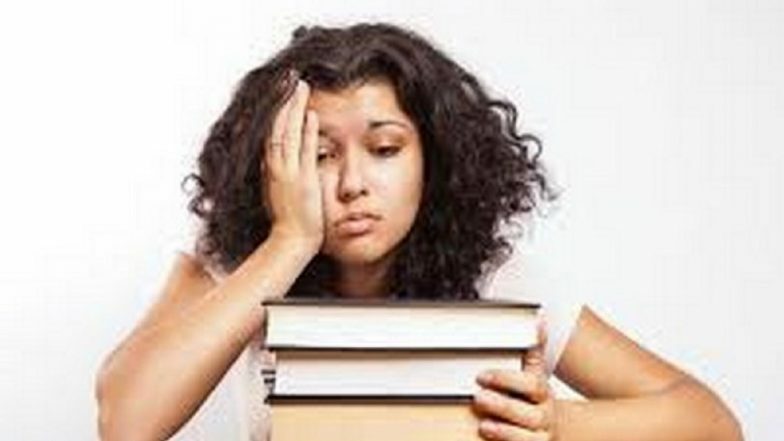 Low mental distress in college students was associated with no substance abuse, responsible attitude towards learning as well as good academic efforts, high GPA (of above 3.0) and limited daytime sleepiness. Mild mental distress correlated with borderline work neglect and with a marginal negative association with grade-point average. Severe mental distress correlated with substance abuse (including excessive alcohol drinking), extreme daytime sleepiness, poor academic attitude, and low GPA.The results demonstrate that manageable lifestyle factors contribute to mental health in college students, which become potentially cyclic events that may impact academic performance. "These factors that are associated with mental distress in college students are controllable factors, meaning that proper education of students may reduce risk of mental distress on college campuses, which is on the rise," said Begdache. She went on to say that it is important for young adults to recognise that one behavior may lead to a domino effect. "For instance, using drugs recreationally, abusing alcohol or using 'study' drugs not only affects brain chemistry but may affect diet and sleep, which may further alter brain function and brain maturity." "When young adults follow a healthy lifestyle (diet, sleep, and exercise), they are more likely to avoid drugs and alcohol, which supports a normal brain maturity, which is then reflected in a higher GPA and responsible attitudes toward learning, work and family, " added Begdache.